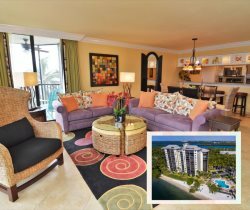 Resort Harbour Properties is the right choice for your Vacation Rental Management. Choosing a Vacation Rental Management Company is an important decision. We invite you to consider condos by Resort Harbour Properties proven formula for success. In the Hospitality business it all boils down to people: Our Owners and Our Guests. We start by developing a trusting relationship with our Owners; we do that by understanding their real estate property needs through open communication. We understand everyone has different needs and we work a plan to execute those wishes. Guest satisfaction is on the forefront of all of our business practices. Our Team is driven in providing the experience of a vacation rental in Sanibel Harbour like no other! We understand the guest has variety of options to choose from and know our reservation agents to property care team set the first impression. Then our onsite team compliments the self catering rental experience. This approach and more key principles outlined below have enabled us to achieve rave reviews from our guests and accolade from our owners. Read on to learn more about our Team and Dynamic Rental Program. Professional Management Team – We take care of it all! Resort Harbour Properties Management team all have past Hotel and Resort management experience in four-five Diamond properties. We are passionate about the Hospitality industry and work towards meeting and exceeding our owners and guests needs. Property Knowledge – Better than any other Rental Company! We have a keen understanding of the Resort Lifestyle and how to sell the benefits, needs, and features, or maybe equally important how to sell your community. Rental Flexibility – More Options than all the others! Use your unit as much or as little as you desire. No Blackout dates on when you want to use your unit. If your unit is available, last minute reservation are welcomed. Rental Income – Turn Lookers into Bookers! We know how to produce reservations for your unit and maximize occupancy and revenue. Our rental sales team works the leads swiftly while partnering with reliable booking channels to optimize your exposure. Guest Relations – Meeting and Exceeding the Guests’ Expectations! We promise to work in order to provide guests an ideal experience at our Sanibel Harbour Resort condos. We will do this by providing outstanding rental options and accommodations, personally assist in selecting that perfect property to meet their needs and be readily available throughout their stay should they need our help. Property Inspections - Inspect what you Expect! Our Team personally inspects each Move-In/Move-Out to assess your property condition. Through inspections is key in meeting the guests expectation and maintaining your asset. Effective Marketing – That does not COST you a cent! The marketing expense is our cost, not yours. Having local and experienced hotelier's manage the rental division we know how to rent your property. We know the best places to advertise, the best times to advertise, what the competition is up to and how to adjust the rates of our rentals to earn our market share of travelers. We know the importance of our website and ensure it is being optimize to its fullest potential. We offer online reservation services to our guests as well as a toll free reservation number for those who prefer to talk to an agent in person. Easy Owner Access – Easy access to your condo occupancy plus more! Our Owners enjoy a variety of free services with joining our rental program. You have access to our online Owner Portal 24/7 to check your property availability, future income per reservation, past monthly statements and more. We also offer ACH deposits for your monthly rental income… it is fast and free. Location - Our offices are conveniently located! We can respond quickly to any guest concerns and your guests can easily stop in to see us with questions.